I wrote a guide over at Gradec Media way back on how to make money without paying for anything, and in the spirit of ranting, I did rip into the popular habits of youtube gurus who take pride in offering unsolicited advice or hacks on how one can make money online without paying anything. What I did not do in that post was share tools that helped me keep a lot more money in my pocket, by leveraging useful tools without spending money. While am not a huge fan of the most fervent advice givers online, in this respect I decided to take matters into my own hands. You see my dislike for make money fast online gurus has nothing to do with what they preach. It’s how they simplify the process that they have never been through before. They really have never made money using the methods they teach yet they are often the ones who are quick to tell you how quick and easy it is to earn a good living working from home. Reality is they know f#ck-all about how money is made online. They absolutely have no idea about what they are yapping about. I mean am I the only one who comes across Youtube gurus, who plance-about dishing how-to guides to unsuspecting victims online? It surely can’t be! And that is why in this tell-all article, I will break everything I know step by step on how to invest your Starbucks cup of coffee price( assuming you will forego this morning ritual for a day as a sacrifice so you can buy a $15 Domain and $3.75 web hosting today) into the most profitable online business, helping others in your chosen niche to overcome their day to day life challenges. You must be willing to do the work and patiently wait for the results not to be instant. So for anyone thinking that this is going to be easy or Get-Rich-Quick type of adventure… I have some bad news for you! It ain’t… In fact, it took me nearly 24 months to get to $10K a month with a small membership site I started with sheer grit and determination, working on 2 hours 7 days a week to grow it to 267 active members. A little bit more about this later when I share with you how I started a reseller web hosting business, who knows I might inspire you to start one for yourself. 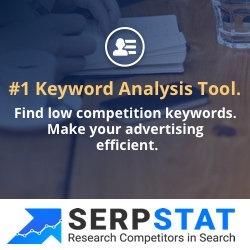 While others will tell you otherwise, a good place to start any business is Doing Your Research, and for that I have here some darn good market analysis tools you can use these FREE keyword tool analysis to discover your competitor’s keywords and kick them off the perch and rank your content or offers there. It's mind-blowing to learn that almost 50% of people who conduct mobile searches for a local business will visit the store within one day. Imagine an avalanche of all the local footprint (traffic) you could be sending to your business with a well-executed sound Google Search plan? Without assuming that you are more informed about a plethora of options you have when thinking of starting a small business below you will find this detailed guide with almost 32 steps you can use to start and grow your startup business, working from home. Been there and done that! And the one thing I have learned over the years is that It can be extremely overwhelming to run multiple marketing campaigns inside your business while trying to grow your traffic and brand penetration, without worrying about your inadequacies of the demands needed to grow a business online. So it makes sense to turn to online resources to seek help from the so-called online gurus who are plastered all over Youtube and many of the popular blogs out there! While the majority of online advice about how to start a business online and make money is helpful and accurate to a point, most of what you get from these yappers its absolute garbage regagitatteded and disguised as helpful info. Seriously! How can anyone think that its possible to start a business and pay nothing? PLEASE! Don't get me started on this! They say what you do not pay in money, you pay in time and sweat! I mean, haven't you guys heard of what is known as sweat equity? Well, in case you don't... let me share with you how I started my blog without paying anything! Erm... under $100. So, in case you have the very same dream that I had when I started my blog, I decided to put together 32 easy, actionable ways that can help you grow your business locally and on the internet. Each item in this list is something that you can check off in one day. And if you follow it from day one, in the next 30 days or so, you will have a thriving business ready to take on the internet clickers who are waiting for your next product launch. A start a blog or Youtube guide where I show you step by step how to launch your WordPress sales Funnel ( the cheapest ever! Compared to Clickfunnels and the others), you also get a local SEO checklist including Google, Yelp, Bing, and more. Everyone says that you have to do everything and be on all social media platforms. Well, we have our own recipes that beg to differ and we will share with you inside that guide how to do social media better for your business beginning from creating and maintaining your profiles across the internet.